High quality rabbit meat which meets customer expectations? That’s our guarantee and promise from the breeder to the supermarket. For many decades we have worked alongside our stock breeders and feed merchants to create a culture of confidence and trust. Consisting of: dried alfalfa, cereals, caked sunflower (post oil extraction) miller’s bran, dried vegetable extract, vitamins and minerals. * There is a direct link between the quality of animal feed and that of the food we eat. For each product (whole rabbits plus cuts and joints) traceability is highlighted on all packaging and the weight on all the pack labels, which is integral in all our production stages. Our breeder-partners are passionate and responsible ensuring each animal receives proper daily attention according to legal requirements and standards. 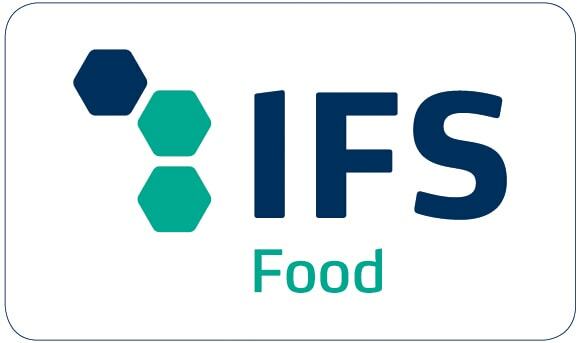 The entire LOEUL & PIRIOT Group are IFS* certificated, a benchmark created by large distributors to guarantee food security for distributor’s brands and a mark of quality.